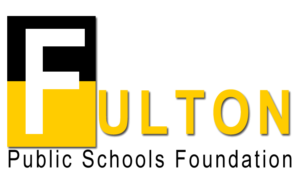 The Fulton Public Schools Foundation is an independent non-profit organization providing financial support to enhance the educational experience in the Fulton Public Schools. We love to work with Reunion Classes! 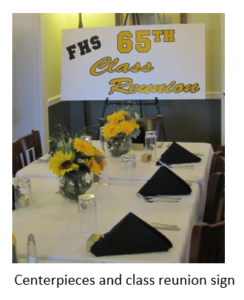 The Foundation can provide reunion banners, centerpieces and use of our giant check for the presentation of your class gift. All you need to do is include information about the Foundation, which we provide, and support your alma mater through a Reunion Class Gift. 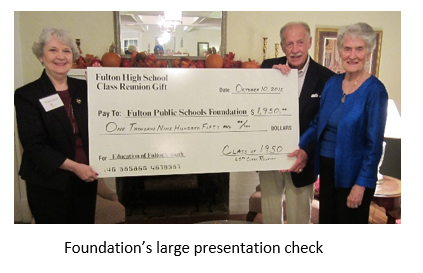 You’ll be surprised at how many of your classmates want to do something to show their appreciation to Fulton’s schools. 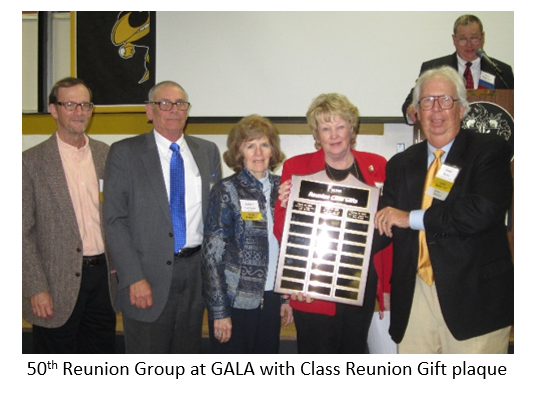 When your Reunion Class Gift campaign is complete, your class year and total gift amount will be added to “Reunion Class Gifts” plaque and you will be recognized at our annual GALA banquet the following Spring. The Foundation funds exciting educational opportunities for our Fulton students through the Classroom Grants Program which allows for innovative new programs and equipment. Our reunion class gifts help us provide those funds. We can also help with Homecoming information and other school related dates. 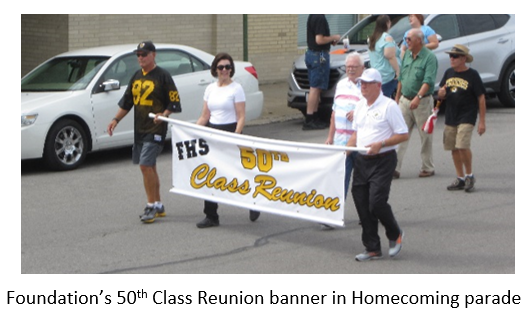 We’ve worked with many reunion classes and love to help graduates come back to celebrate that milestone reunion! Give us a call and we can discuss your class needs.